This is an excellent museum dedicated to the preservation of the Karamanlı Yörük culture. It is through the hard work and dedication of a Karamanlı Yörük man named Mehmet Varol that so much of the history and material items of his culture have been preserved. 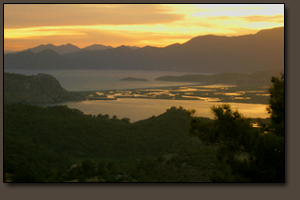 The museum is well worth visiting when visiting Dalyan or after visiting the ancient city of Kaunos. If you operate a website related to Turkish Tourism click here to submit your website to the directory. As an American who lived in Turkey for years I saw much of the development on the south coast of Turkey as it happened. My first visit to Turkey was in 1985 when I flew to Istanbul to meet with my brothers, who were there on vacation from their flight training jobs in Saudi Arabia. We flew to Antalya and enjoyed the beach there before we rented a car and drove down to see what kind of beaches were at Kemer, Çamyuva, Phaesalis, Çıralı and Kaş. At that time Kaş was a small village with a tiny harbor and not much in the way of a beach. It only had a couple of dozen old village houses, a pansyon or two and a kilim shop run by an American girl from Boulder, Colorado. As I remember, my room in the pansyon in Kaş was 4 Turkish lira per night and a lobster dinner eaten right next to the sea wall that night cost me even less. At that time the Turkish government had just begun to dredge out the harbor at Kemer and had started to build basic infrastructure. All that comprised what is now the resort town of Kemer was the original small Club Med facility on the beach and a couple of dozen village houses scattered among orange orchards. There was very little tourism on the southcoast of Turkey if there was any tourism at all. Antalya was basically comprised of the old town known as Kaleiçi and was served by the old airport with a tiny terminal building on the outskirts of town. Soon I met a Dutch girl in Dalyan who lived in another remote mountainside village past the ruins of the ancient city of Kaunos. Access to the amenities of Dalyan was far easier from her village and before long both my brother and myself had moved from Gökbel to this village called ÇandÄ±r. The excellent quality of life in this small village still makes me smile. I would 'commute' across the river in a small rowboat from Çandır to go to Dalyan often and every time I would think of all the commuters in the US on frenzied highways and jammed city streets. All these people in a stressed out frenzy to get to work so that they could pay for their lifestyle. How much enjoyment is there in a 7-series BMW when you have a death-grip on the steering wheel in a massive traffic jam on the Superstition Freeway? How enjoyable is that big house in the upscale Scottsdale neighborhood when you must leave it early in the morning and return to it later that night - filling the hours in between at a high-pressure job under the scrutiny of a demanding employer? It was these same people who were aghast to hear that I was moving to the southcoast of Turkey. Their response was always pretty much the same - Turkey...? What are you moving to Turkey for? Isn't it dangerous living there...? This from people living in a city where there are more assaults and murders reported on the 6 Oclock news each evening than are commited in Turkey in 6 months. So, if you have any questions about the southcoast of Turkey, feel free to drop me an e-mail and if I can't answer your question I will be able to refer you to someone that will have the answers to your questions. The south coast of Turkey enjoys a typical Mediterranean climate where the temperature can go above 40C during rainless and even cloudless summers, while the rest of the year is often rainy, although winter lows rarely go below +5C and snowfall is virtually unknown in the region. The season with the highest amount of rainfall is winter from late October through early April. The rains in this region can be accompanied by strong winds in the locations close to the shore. 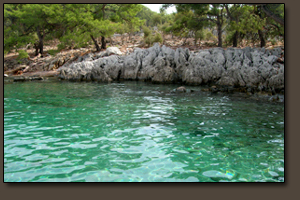 Water temperature of the Mediterranean Sea is around 28C during summer from May through October. Almost anywhere along the south coast or on the Aegean coast to the west are numerous perfect holiday destinations sitting on remarkable bays with delightful beaches. The south coast of Turkey has a wide selection of cities that are holiday resort destinations with pristine beaches lining spectacular bays - each with their own distinct flavor. Holiday travellers that desire serious nightlife flock to Marmaris to take in the beaches and bays while later partying on Bar Street all night long. Bodrum attracts a younger crowd of both foreign and Turkish party seekers with clubs like Club Halikarnas and many others. Bodrum also caters to the hip arts crowd from Istanbul and has been home to the literary and arts community in Turkey. 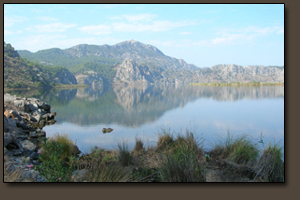 Dalyan, Datça and Bozburun are holiday destinations for those who are more into seeking the peace and beauty of nature than noisy late night entertainment. For those interested in a golf holiday then Belek and the Antalya area are the destinations to visit. The south coast of Turkey is an absolute paradise from Antalya to Kaş through Kalkan, Patara, and Fethiye. 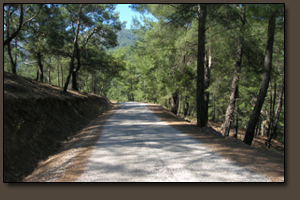 Resort communities like Hisarönü, Ovaçik and Ölüdeniz near Fethiye and the surrounding holiday communities of Marmaras like Içmeler, Gökova, and Turunç all are amazing destinations. The Datça Peninsula is more laid back with less of the holiday madness and more of the delightful traditional Turkish village atmosphere. Dalyan and Köyceğiz are spectacular holiday destinations and lie amid some of the most incredible scenery and pristine beaches to be found in Turkey. You simply cannot go wrong spending your holiday in any of the holiday resorts located in the villages and cities situated in exotic coves and bays all along the south coast of Turkey. The south coast of Turkey is a rugged and extremely beautiful coastline separating the pine tree covered Taurus Mountains and the waters of the Mediterranean Sea. Spared from pollution due to the lack of heavy industry it caters to millions of sun seekers from Europe who flock to the south coast to enjoy the beautiful weather as well as its unique culture and history. The south coast of Turkey is a top holiday tourism destination for Europeans and an increasing number of American travelers who have come to enjoy this affordable paradise. The south coast of Turkey was home to many ancient civilizations such as the Lycian, Cilician, Seljuç, Byzantian and Roman among others. The Mediterranean area of Turkey was captured by the Romans about a century before the birth of Christ. After a brief occupation by Christian crusaders on their way to the Holy Land, Turkic Seljuçs eventually seized the region and later the Ottomans came into power. The historic evidence of the presence of each of these ancient civilizations can still be seen everywhere along the south coast of Turkey. It was during these eras that the ancestors of most of the region's current population poured in from Central Asia as nomadic tribes. Some still keep these nomadic traditions alive to this day by wintering on the warm coast and heading for heights of Taurus Mountains or plateaus of Central Anatolia more inland to the north when summer approaches with their goat and camel caravans. Seljuçs were later replaced by Ottomans somewhere around the 1400s and remained so until the foundation of the modern day Turkish Republic by Mustafa Kemal Atatürk in 1923. Dalaman and Antalya International Airports still handles the majority of international flights with over 82 thousand passengers and over seven-hundred aircraft take offs and landings daily - making them the most busy airports in the area. Click here to check arrivals and departures for any of the major airports in Turkey. Practical information for anyone considering buying a villa or any type of property in Turkey. Golfing in a paradise in Belek near Antalya. 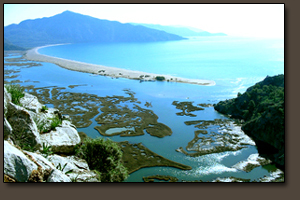 The south coast of Turkey is a natural paradise with numerous beaches and bays along its coastline. Turkish kilim rugs are beautiful home decor handmade of wool. Track in realtime practically any flights arriving or departing from the major airports in Turkey. The bookstore contains different books about Turkey and by Turkish authors written in English. Beautiful Kütahya ceramic tiles have been made in Turkey for centuries.